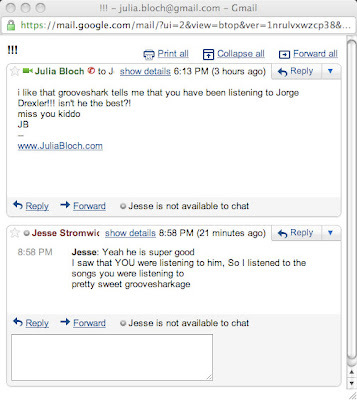 Grooveshark is totally awesome. Except when your dad figures out that he can now blast the complete works of David Grey on repeat without having to drop a dime. (but don't blog about it--cause i'm doing that ish later today, na mean? ).